Host Rob Kelly welcomes guest Max Romero (IT’S PLASTIC MAN) to discuss Alfred Hitchcock’s 1960 groundbreaking classic PSYCHO! Grab your candy corn and listen along! Plus: Listener Feedback! Host Rob Kelly welcomes returning guest Tim Wallace (KORD INDUSTRIES) to discuss the 1932 classic(? ), Tod Browning’s FREAKS! Gooble gobble, one of us! Host Rob Kelly welcomes guest Tim Wallace (KORD INDUSTRIES) to discuss the brand-new documentary about the never produced Tim Burton/Nicolas Cage Superman movie, THE DEATH OF SUPERMAN LIVES! Thanks for listening! Lights, Camera, Action! Host Rob Kelly flies solo this episode, where he discusses the 2014 comedy/drama THE SKELETON TWINS, starring Bill Hader and Kristin Wiig! Host Rob Kelly welcomes guest Ryan Daly (DEAD BOTHAN SPIES) to talk about Akira Kurosawa’s 1958 masterpiece THE HIDDEN FORTRESS! Plus, as an extra added attraction, we discuss Marvel’s ANT-MAN! Host Rob Kelly welcomes returning guest Mike Gillis (RADIO VS. THE MARTIANS) to talk about one of their favorite James Bond films, the underrated ON HER MAJESTY’S SECRET SERVICE! It’s far up, far out, far more! 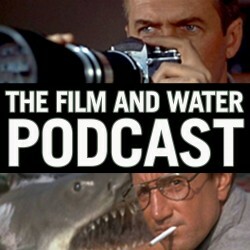 It’s a World’s Finest double feature on the newest episode of THE FILM & WATER PODCAST! Host Rob Kelly welcomes guest Andy Kapellusch to discuss 1989’s BATMAN, followed by Rob and Chris Franklin (SUPER MATES PODCAST) gushing over 1978’s SUPERMAN: THE MOVIE! Special thanks to Michael Bailey. On the newest episode of THE FILM & WATER PODCAST, host Rob Kelly welcomes guest Mike Gillis (RADIO VS. THE MARTIANS) to discuss one of their favorite films, John Landis’s THE BLUES BROTHERS. We’re on a mission from God! On the second episode of THE FILM & WATER PODCAST, host Rob Kelly welcomes guests Bill Zanowitz (COMIC BOOK BEARS PODCAST) and illustrator John Trumbull to discuss a little film called…CITIZEN KANE! The first episode of new show on the FIRE & WATER feed, THE FILM & WATER PODCAST! Join host Rob Kelly as he reviews and discusses films both new and old. We start with Alex Garland’s EX MACHINA, in theaters now!